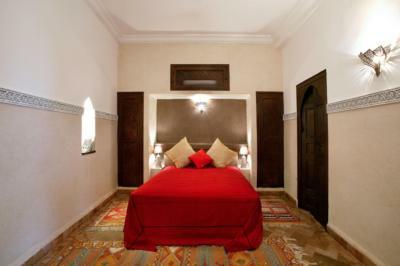 Lock in a great price for Riad El Noujoum – rated 9.2 by recent guests! Quiet, very friendly staff, and great food. Delicious free tea service, too. 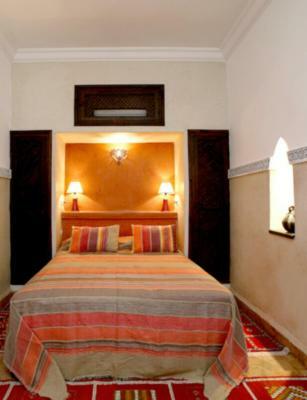 Located well within walking distance of all there is to see in the old town, the riad is still far enough away from the crowds to be quiet. 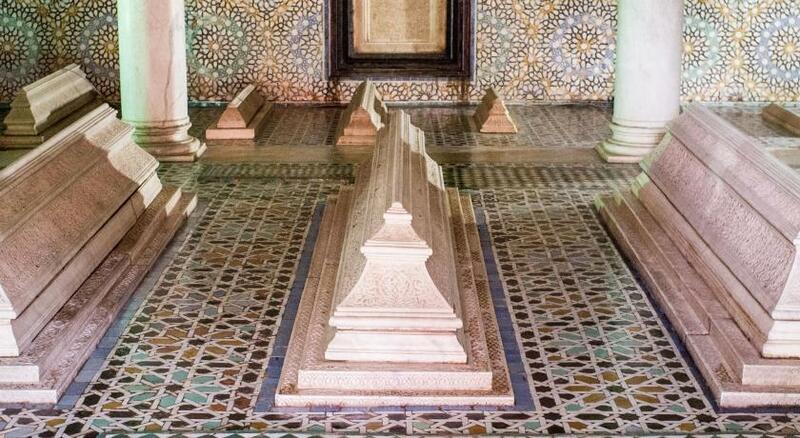 I was received in a friendly, quiet and hospitable manner. 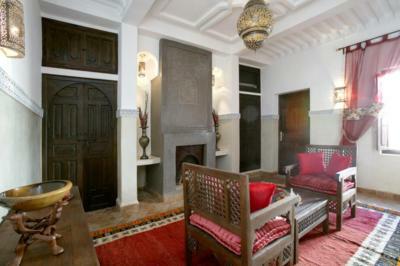 Beautiful inner courtyard and nice rooftop terrace with sun loungers. The food was very good and ample. The place was fully booked but I didn't notice the other guests except at breakfast -- and few even then as people took their morning meal at different times. A very nice place where I'd stay again. Khalid and his team made us feel welcome and were professional and friendly. 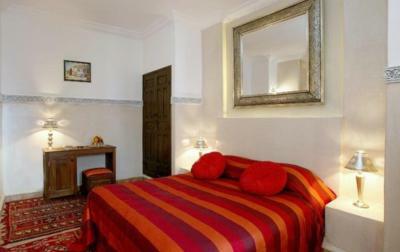 Location is great, within walking distance of the main tourist attractions but once you enter the property it is quiet and calm. Lovely rooftop terrace for relaxing and reading. There is a small pool which is suitable for cooling down after a busy day. 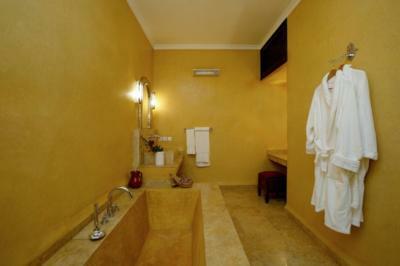 The property is spotlessly clean and our room (Orion) was spacious and comfortable. 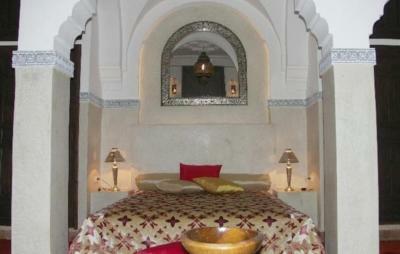 We had a meal in the Riad and a hammam/ massage which were excellent. 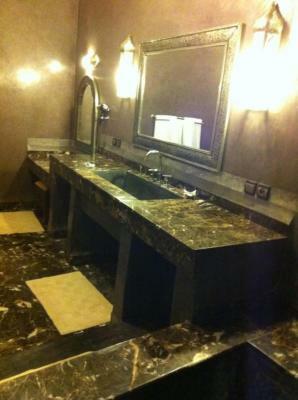 Everything especially the staff they were fantastic professional accommodating and warm and friendly. 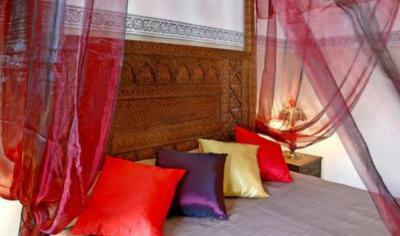 Not recommended at all.....If you want a Riad Experience don t go there, it will totally crash your holiday. 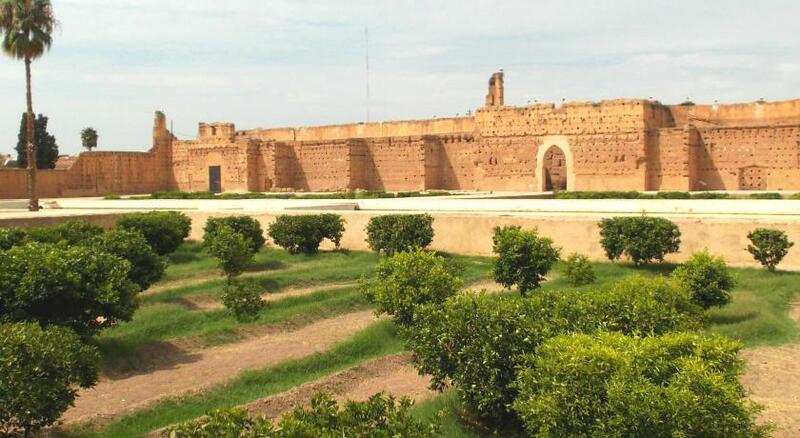 La plus mauvaise experience en Maroc. This was an oasis of calm, hidden within a world of chaos. 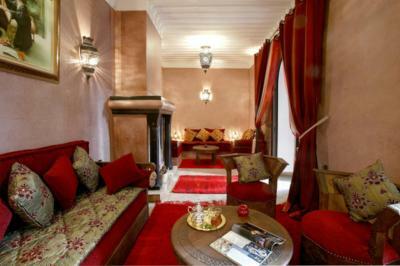 You would not know only a few steps away was one of the busiest streets in Marrakech. 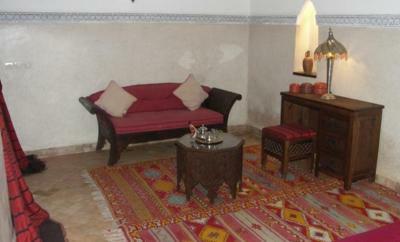 It was so calm and peaceful with the riad, you almost didn't want to leave. The staff were excellent, attentive, and helpful. 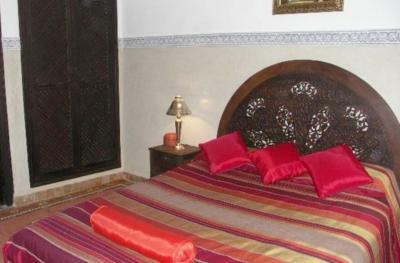 The riad was secure. The pool was nice and cool. There was space on the roof to sunbathe and the breakfasts were tasty and fresh. 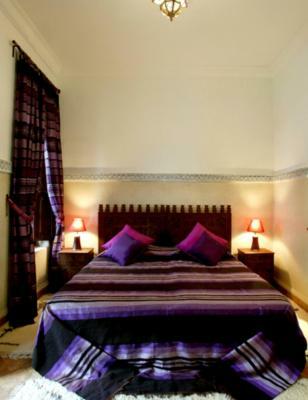 Beautiful Riad, spotlessly clean, comfortable beds, excellent breakfast and friendly helpful staff in a great location to see Marrakesh, I would happily stay at this Riad again and fully recommend as a brilliant place to stay in Marrakesh. Staff changed our room after we told them the bed was uncomfortable in the first room. Nice staff and good location. 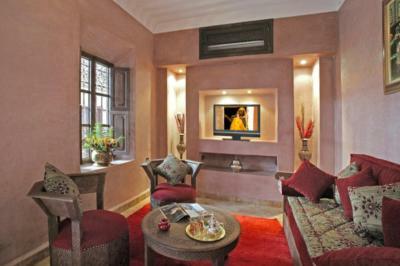 Riad El Noujoum is a luxurious riad located in the heart of Marrakesh Medina. 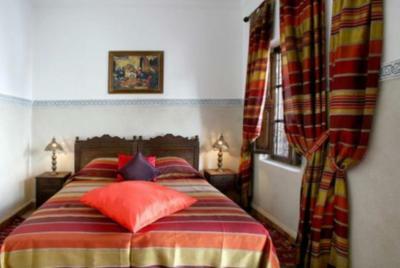 It is a 10-minute walk from Jamaâ El Fna Square and offers a rooftop terrace with views of the city. 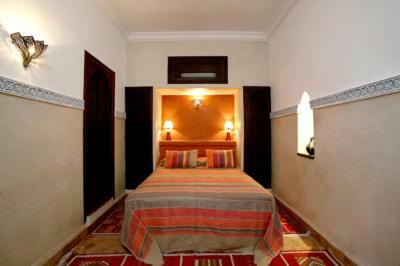 Guest rooms at the Riad El Noujoum are air-conditioned and spacious. 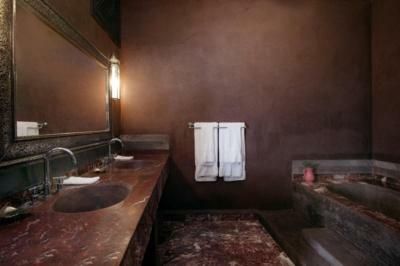 They include heating, safe, and bathrooms decorated with traditional Moroccan “tadlakt” tiles and marble. 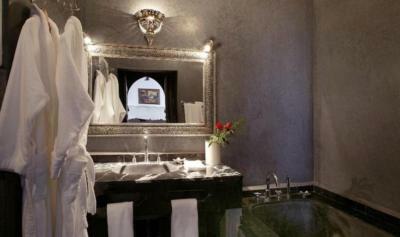 Regional specialties are served in the on-site restaurant and room service is available. 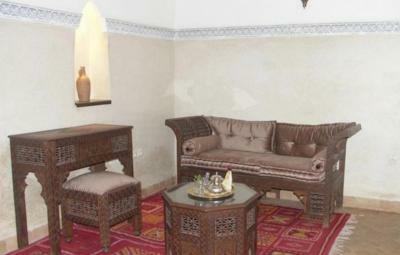 The Noujoum provides a peaceful patio with fountain and several lounge areas. 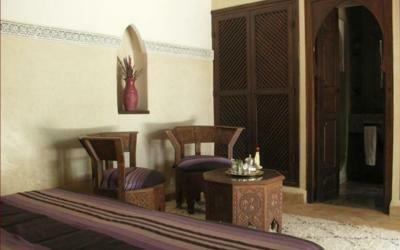 Additional facilities at the Riad El Noujoum include massages and free Wi-Fi. 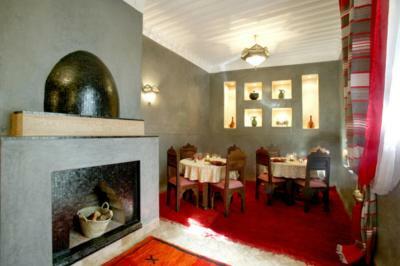 뀐 Located in the top-rated area in Marrakesh, this property has an excellent location score of 9.2! 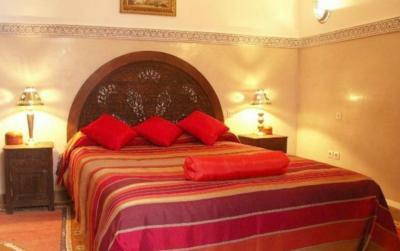 When would you like to stay at Riad El Noujoum? 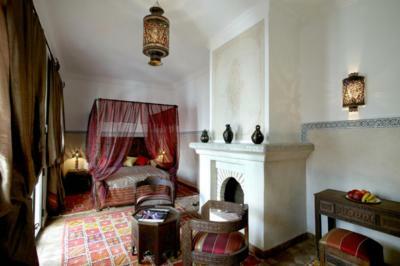 This spacious suite features a traditional Moroccan décor, a seating area with a fireplace and a marble bathroom. 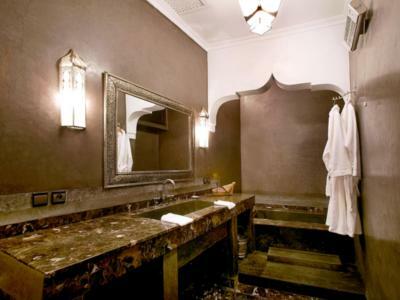 This room features a traditional Moroccan décor and includes a marble bathroom. 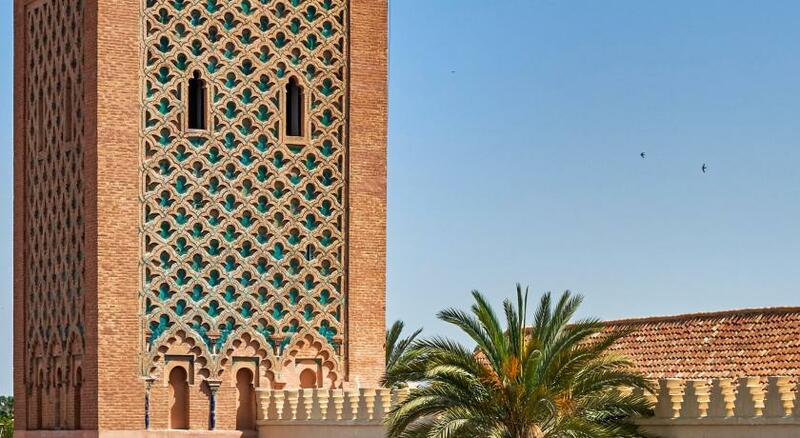 Area Info – This neighborhood is a great choice for travelers interested in markets, street markets and old-town exploration – Check location Excellent location – show map Guests loved walking around the neighborhood! 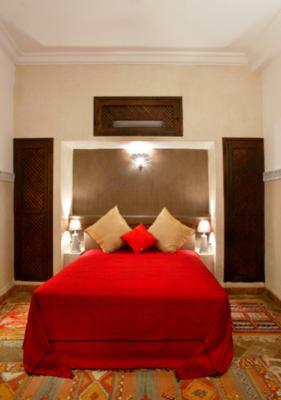 House Rules Riad El Noujoum takes special requests – add in the next step! 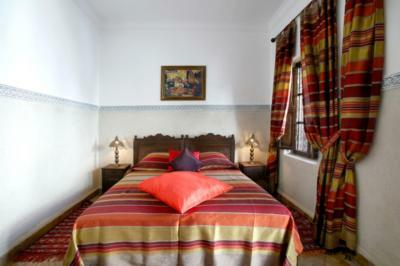 One child from 8 to 18 years is charged EUR 30 per person per night in an extra bed. Riad El Noujoum accepts these cards and reserves the right to temporarily hold an amount prior to arrival. Only one minor negative- No kettle in the room. 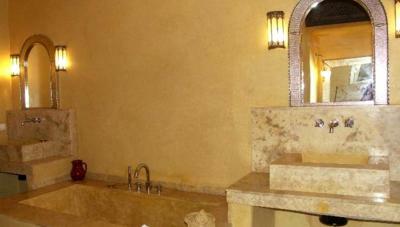 However staff were always available to provide hot water when needed. 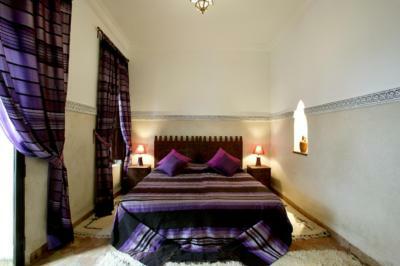 I really don' t know how to start on explaining in how many ways this "Riad" ruin our holiday. 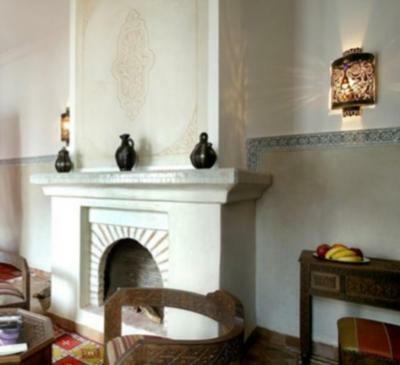 As first, after the booking we have tried to contact the Riad in so many way...private emails, messages through booking, even by phone to arrange our airport pick up and we never had an answer back. Once there, we rang the door for 20 minutes until a woman that didn' t expect us at all open the door and ask to show our reservation. 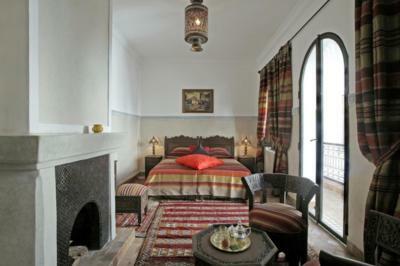 It was cold and rainy in Marrakesh and the room was frozen cold, we asked another blanket (that never arrived ) and just the second day (after asking again)they send someone to fix the ac from cold to warm ( was a technical problems). I ve been in so many riad in the city, and not even for a second they give you the feelings other Riad give....like care for the costumers, incense or music ,they never propose us any activities, either hammam or dinner, the bath tube is not there anymore and the breakfast was boring and not even served on the terrazze and everyone was really loud since early morning...not quite at all. They just don't care at all. 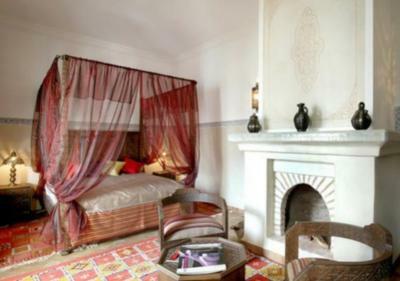 They have a plastic roof in the top that was really ugly and you cant find the nice atmosphere and feeling as a riad of this price should be. Anyway after 3 days we could not wait to leave we didn't know the most horrible part was yet to come : Also if in booking.c was indicated that the we already payed the Riad, they ask us to pay again in cash money because apparently they didn t receive any payment from booking and even if we showed them the booking page they shoot off the door and start to say we were thief and liars and they were calling the police .....we also asked for the police to come but after a while nobody show up and in the terrible situation we were almost missing our flight we just payed again (knowing booking will refund us in case of a double payment ). The aircon in our room didn't work, but in all fairness, I didn't get round to mentioning it. You can't get a taxi right to the door, so be prepared for hassle as you get your cases out of the boot. The pool could have been a bit cleaner, but it was nearing the end of the first season. 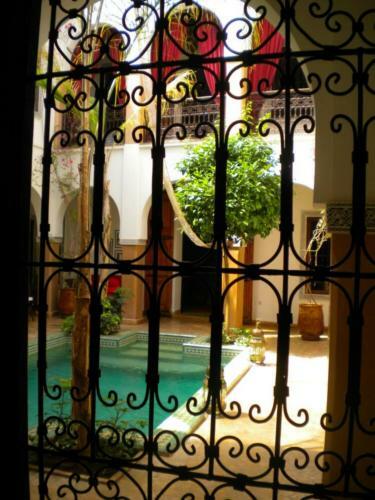 the riad is very hard to find and there were many rather aggressive youths trying to get you to park and take the cases wanting money etc wife was in tears on arrival if you have a car. hire a taxi and follow it there and let him help you with cases and ex trouble can be avoided. Breakfast.I e fruits and plain youghurt choice .too much wheat products . Difficult to find; would not recommend arriving in your own car as parking is a good walk. Although breakfast was ok, it was pretty much the same every day and could do with some fruit/alternatives/variety. Hot tub/spa on Rooftop wasn’t working. The staff were very friendly, help us to organised our tours. Brought us tea. Breakfast was excellent! The only thing was how cool it was, if I knew this I would have packed warmer clothes.